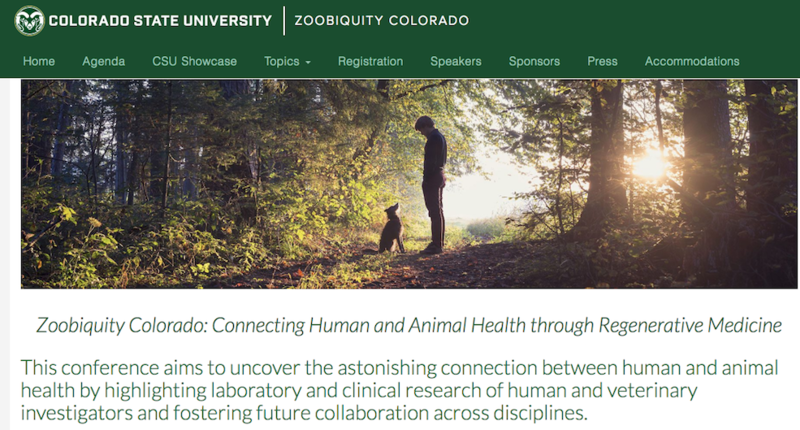 On October 5 and 6, 2018, Zoobiquity Colorado: Connecting Human and Animal Health through Regenerative Medicine will take place. Here, AUTOSTEM PI Prof Frank Barry of the Regenerative Medicine Institute at the National University of Ireland Galway will deliver a keynote presentation, ‘Cell Strategies for Arthritic Disease’. This entry was posted in Conferences, Dissemination, News, presentations. Bookmark the permalink.